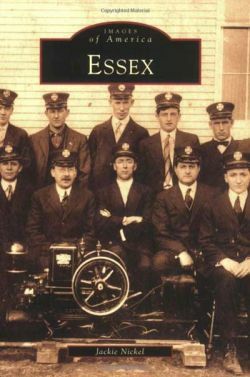 The Heritage Society of Essex & Middle River, Inc. is an all-volunteer organization, relying on the generous donations from individuals like yourself to pay for operating costs and expenses. 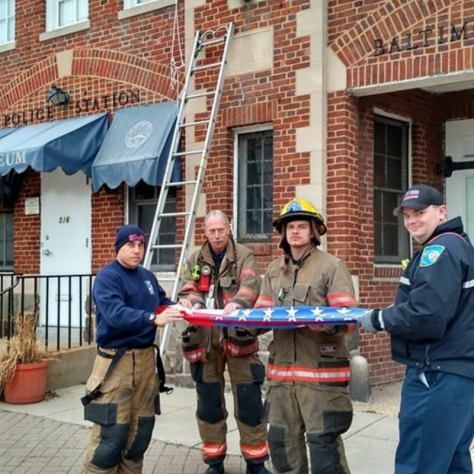 In this photo, firefighters from Essex Station 7 replace the U.S. flag that flies over the museum, made possible by member donations. 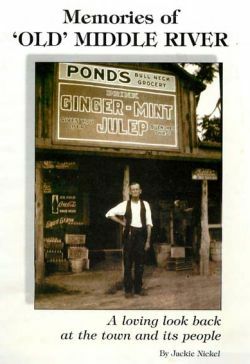 We are always seeking items that represent the history of old Essex. Email essexmuseum@gmail.com and we’ll let you know if it’s something that fits our collection.